“Unsung Noel” is much larger than your standard holiday project. It is more of a concept album than a celebratory Christmas album. The songs primarily focus on Jesus the “savior” and less about celebrating and frolicking around in a one horse sleigh. 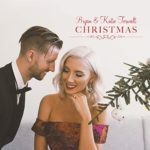 It’s not that the typical Christmas album with it’s glee and jolliness are completely wrong, but it is refreshing to have songs that are more hymn-like lyrically. 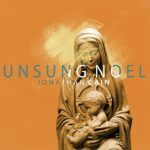 For more on Jonathan Cain and “Unsung Noel” check out his official website at http://jonathancainmusic.com/. 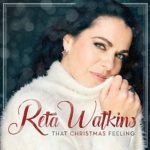 “That Christmas Feeling” is one of the most festive holiday releases this season. It is full of traditional orchestration and jazzy vocals. Watkins even brings that jazzy flavor to the typically more contemporary “Mary Did You Know.” The new style takes a bit of getting use to, but it is quite original and it fits well with the overall soundtrack of the album. One of my personal favorites is “Have Yourself A Merry Little Christmas,” as it stirs up fond memories of holidays past. It is for the reason specifically Watkins choose to pursue the opportunity to record this project. The song selection were inspired from her own holiday experiences. From the festive “It’s the Most Wonderful Time of the Year,” to the playful “Sleigh Ride” and the heartfelt “Behold Emmanuel,” “That Christmas Feeling” is one of the best new holiday offerings this season. 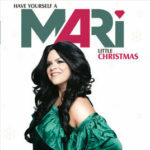 For more on MARi and her twisty new holiday ‘álbum vibrante’ check out the links below. 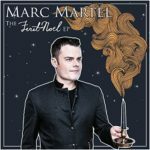 If there is anyone that has the vocal range for an amazing Christmas album it is Marc Martel. As one-half of the amazing “How Many Kings,” Martel has always been a favorite of mine when it comes to Christmas music. The tender roll of lyrics and subtle tone of the soundtrack of “Ava Maria” are amazing. His duet with Plumb on “It’s Beginning to Look Like Christmas” is full of holiday cheer and sure to warm your heart. There is a very respectable remake of “Mary Did You Know” with Buddy Green and the CD ends with a rousing “The Hallelujah Chorus” from Handel’s Messiah. I believe the project was funding through a kick starter or something similar and so unfortunately, it is only six tracks long. I could think of a whole lot more I would like to hear in his range and with his passion. 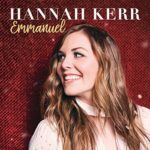 “Emmanuel” is, for the most part, a contemporary sounding holiday project with a handful of more upbeat and pop sounding holiday songs like “White Christmas” and the title track, “Emmanuel.” The classic, “O Come O Come Emmanuel,” has also been recorded in a more upbeat and pop-infused soundtrack compared to its original recordings. However, Kerr does stick with the traditional sounds on “Breath of Heaven” and the jazzy “Have Yourself a Merry Little Christmas.” Rounding out the new project with a bit of new and a bit of tradition. 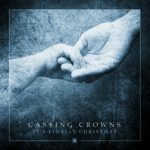 Contrary to most holiday offerings, Casting Crowns has made an original Christmas EP. The only song that is not an original is “O Holy Night.” The other songs make up the story of Jesus’ from proclamation of the angles on “Gloria/Angels We Have Heard On High,” to final song, “Make Room,” which begs the question; “is there room in your heart,” for God to do His work through you. It is a beautiful ending to a very original piece of work. The uniqueness of “It’s Finally Christmas” is refreshing and the story that Casting Crowns plays out is a special one in deed. It is important to focus on the gospel message that is the foundation of our faith and the true reason to celebrate this season (and for all times). The forth, “Emmanuel (God With Us Forever),” is a more contemporary worship/Christmas song. It is a very beautify song that Katie sings lead along with a choir backing her up. On the aforementioned traditional songs, Bryan and Katie share the leads and there is a very classical soundtrack backing them. These songs illicit family memories of Christmas past while the more contemporary “Emmanuel” focuses on the center of Christmas – Christ Jesus. 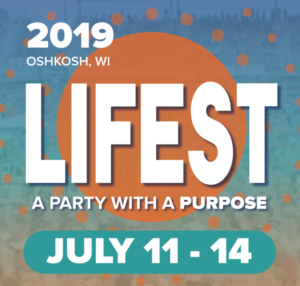 Fans and followers of Jesus Culture will certainly love this new holiday offering. The follow up to one of my all-time favorite Christmas albums (Christmas Wonderland), “Vintage Christmas Trio,” is a full length release featuring 10 instrumental-only classics like “Deck the Halls,” “Joy to the World,” “Silver Bells,” and more. The instrumental arrangements have been modified slightly by Ian but they still retain that jazzy style that is a holiday staple. Given the absence of vocals, one may have to appreciate the complexity of the musicianship behind it to enjoy this more deeply. On the other hand, it is also perfect back-ground music for sitting around the tree or fireplace daydreaming and reminiscing of Christmas past. 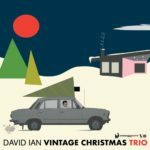 David’s new release can be purchased at iTunes or Amazon and for more on Vintage Christmas Trio you can visit his Facebook page at https://www.facebook.com/david.ian.vintage.christmas/.